Private Vintage Club. 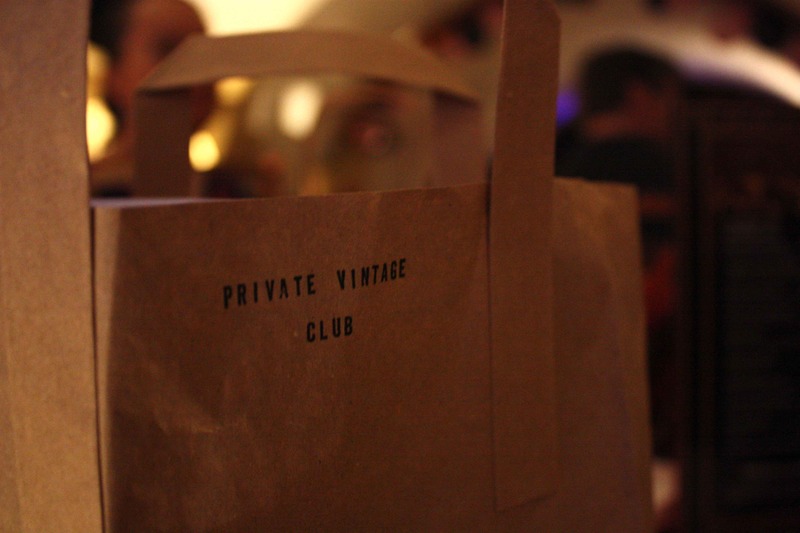 The first rule of Private Vintage Club? Well I couldn’t possibly say. You’ll just have to wait for my post next week, but in the meantime you can read what Annie by Amy thought of it here. Green fingers. I stepped gingerly into the adult world of gardening this weekend, pruning what is apparently a rose tree in our front garden, and other plants and shrubs that seem to be taking over. Mr Ship-Shape and I have successfully killed every house plant we’ve ever been given, but so far the plants in the garden are still alive – for now! Sorry for the short post but the weekend isn’t over yet and there’s still lots to do! I’d love to know what’s been rocking your world, so tell me by commenting below…. 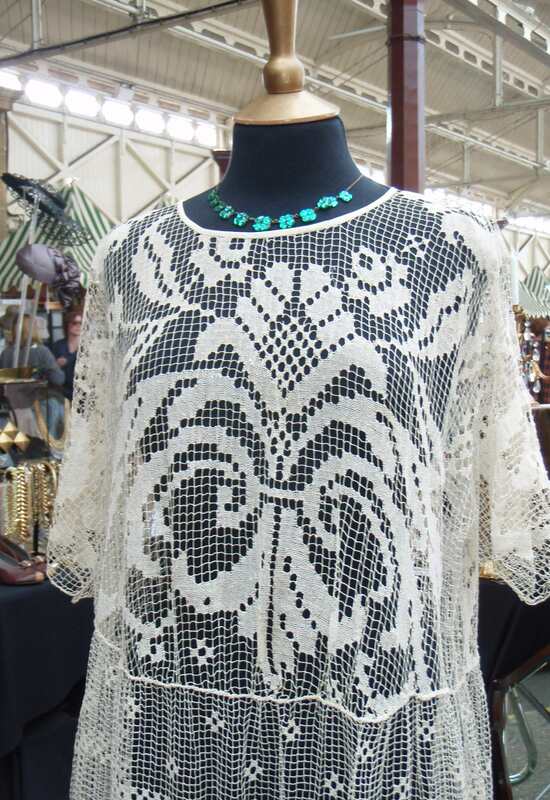 Calling all vintage lovers! Get yourself down to OPA in Bath tomorrow night for an evening of decadence, lingerie and vintages clothes, as Private Vintage Club returns for a second round of stockings, champagne and everything else in between. This exclusive event was launched last year, and is the brainchild of Scarlet Vintage and Hannah Dulcie, along with a collection of Bath’s best independent hairdressers, models and make-up artists, and promises to be an evening to remember. 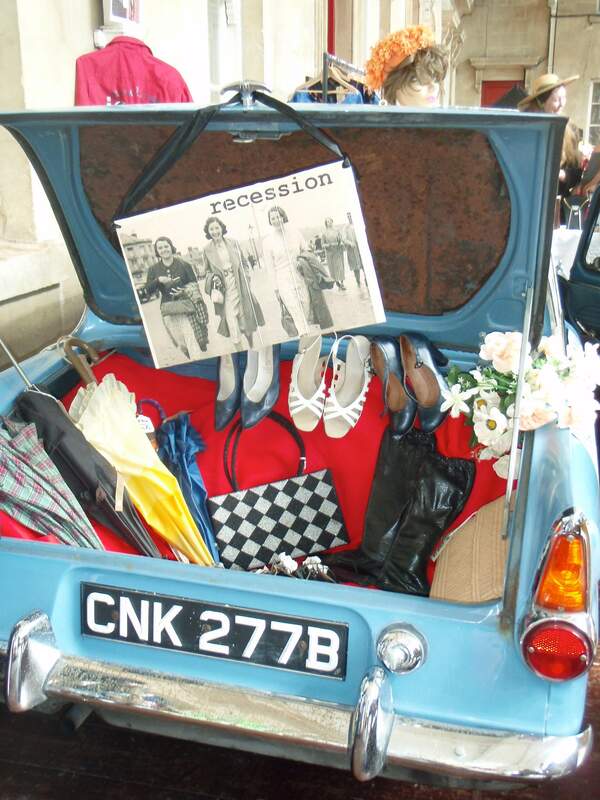 Private Vintage Club kicks of at 7.30pm tomorrow, Thursday 26th April, and tickets cost £10. For more info or for details on where to buy tickets, click here. 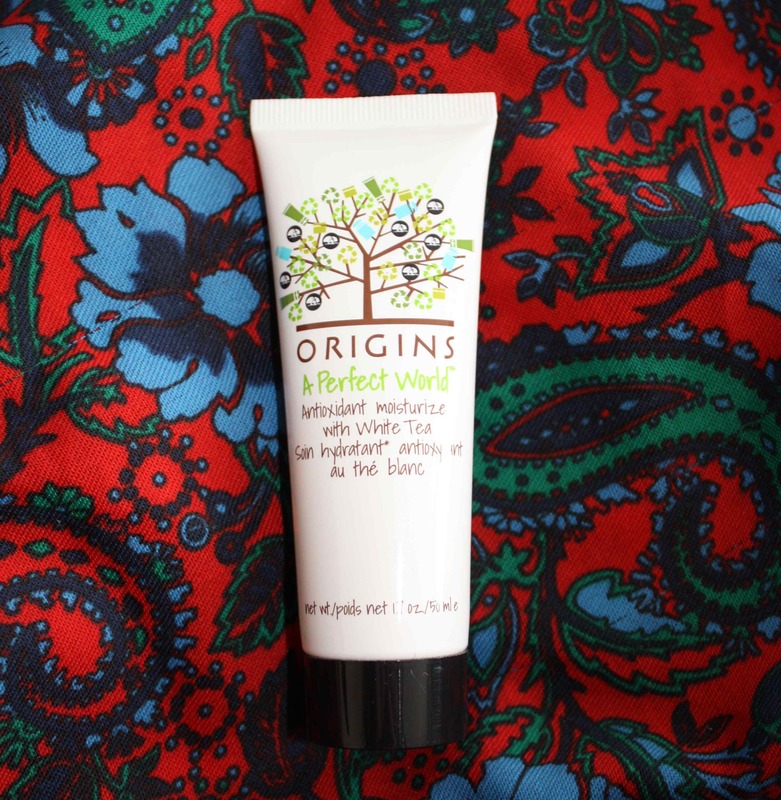 … free Origins moisturiser! Every year skincare brand Origins offer a recycling initiative to customers where they can trade in old cosmetics containers an receive a full-size Origins product for free. Last year I got a cleanser which lead to a spate of pre-wedding mini facials, and this year I was lucky, as by the time I rocked up at the counter on the ground floor of House of Faser at half past 10, there was only one gift left – hurrah! Board games and roast dinners. I braved heavy rain and hail storms to go for a Sunday roast with friends at the Prince of Wales on Gloucester Road today, and I’m so pleased I did has we had a wonderful afternoon, despite collective moans of how soaking wet we all were. The fact that there was a game of Triominoes to play made it even better. Vintage sewing patterns. The Oxfam Fashion Blog is a great source of inspiration, and I love this post on making clothes using vintage sewing patterns which includes tips on how to use the the patterns in modern day dressmaking. What’s been rocking your world this week? Let me know by commenting below…. Yesterday I took a trip to Cabot Circus to see one of their S/S12 fashion shows, which is part of a weekend of catwalk shows, pampering treats and discounts. The show I watched was a good mix of current trends, featuring the likes of Oasis, American Apparel, above, LK Bennet and Next. I managed to miss the rain showers and had the pleasure of sitting next to Christina from Just So Fashion for the show, and chatting to Dan from Last Style of Defence afterwards, before rushing back home – via the Topshop sale (more on that later) – to tackle more DIY and put our bathroom back together. Anywho, enough of my domestic dramas, what about the show? While the usual S/S suspects were out in force, such Crew‘s nautical, preppy look, but there were also some fantastic takes on this season’s trends, most notably pastels from New Look, and a novel take on mid-century chic, mixed with vibrant prints, from River Island. The show combined some great choreography – an element of local catwalk shows that I’m not normally that keen on – such as the workwear scene by Next, which you can see below, and a fantastic scene from River Island, featuring the most glamourous 50s housewives I’ve ever seen, complete with yellow Marigolds and fluro washing baskets. American Apparel and Bristol’s Garment Quarter provided lashings of nonchalant cool, while the later bought a touch of designer brilliance to the show with a show-stopping Vivienne Westwood Red Label dress and sophisticated menswear from Unconditional. After the finale of pastels from New Look, which included mint chiffon pleated skirts and lace dresses in the shade of Parma Violets, I poped behind the catwalk to the live blogging lounge, which you can read about here. I had a lovely morning at the show, and it was great to see some familiar faces, too. Did you catch one of the shows yesterday? What ws your favourite trend? If you couldn’t make it yesterday then fear not, there are several more shows taking place underneath the glass roof of Cabot Circus today – click here for show times and more info. 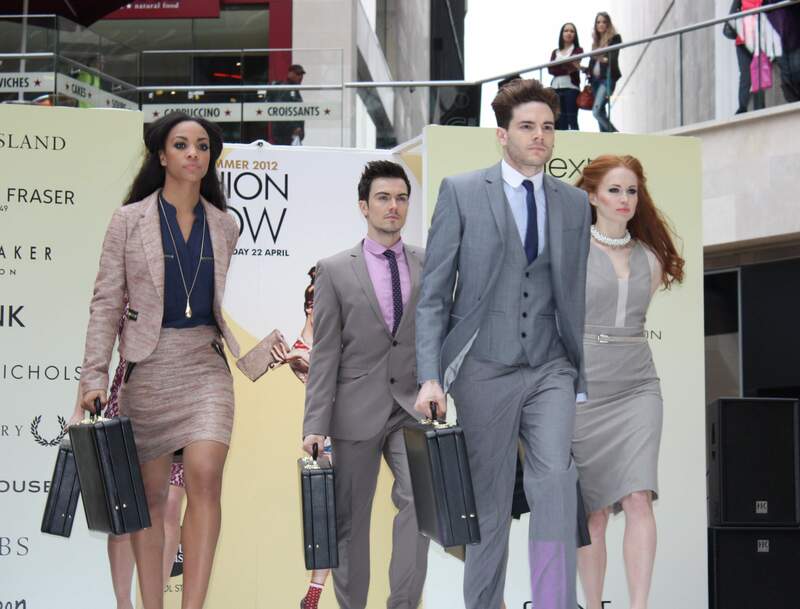 Hot on the heels of Bristol Fashion Week, spring/summer trends come to Cabot Circus this weekend for two days of catwalk shows, mini pampering treats, and offers of up to 40% off some of the brands featured. 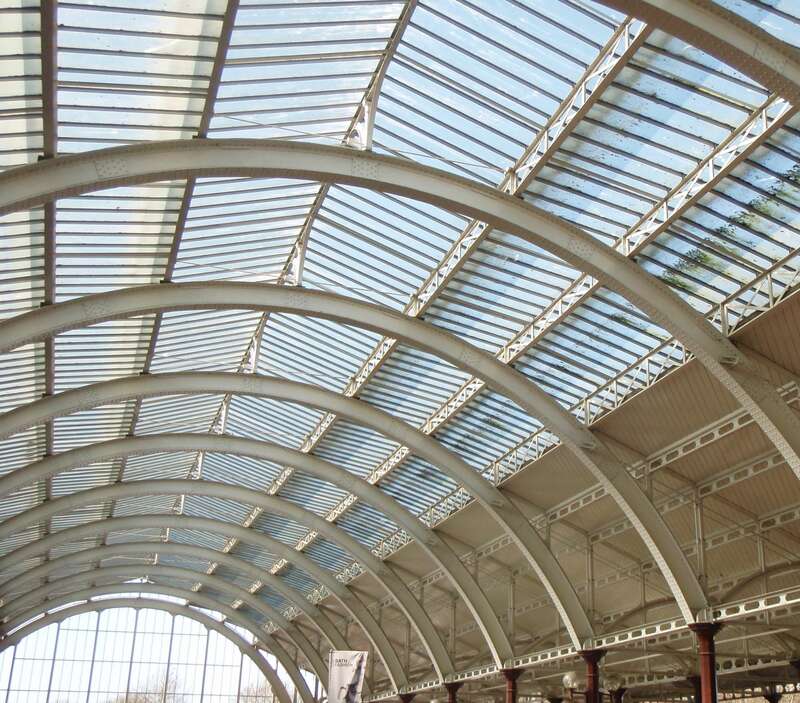 My fingers are crossed that the sun will be streaming through Cabot’s iconic glass roof, as I’ll be attending the event to take in a few shows and tweet from the sidelines. 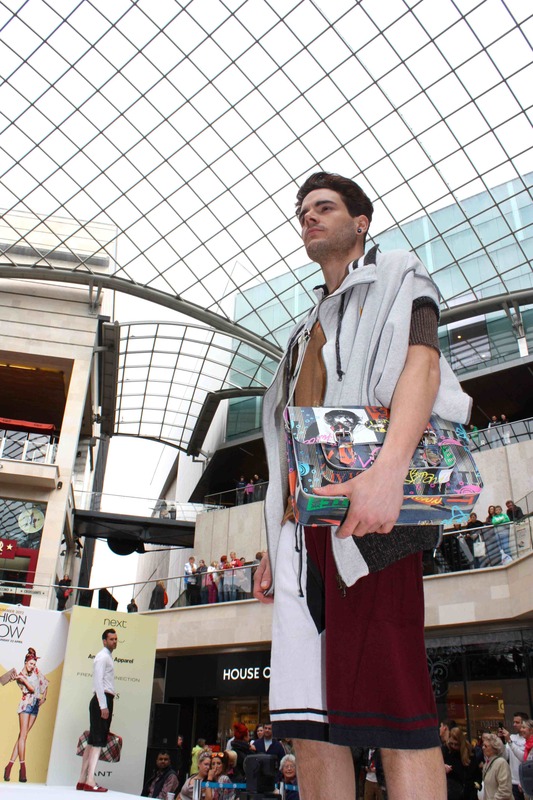 Catwalk shows will take place outside House of Fraser throughout Saturday and Sunday, with a dedicated children’s fashion show on Saturday afternoon, and all shows are completely free. Brands who have previously sent their high street collections down the catwalk include Monsoon, Mango and Ted Baker, above, and this season the likes of Warehouse, French Connection and New Look will be joining them. For details and show times, click here. Trivial Pursuit. After a wonderful weekend that included a trip to the cinema, lunch at Za Za Bazaar, celebrating a friend’s birthday with a huge curry, and a home-cooked Sunday roast in Oxfordshire, my weekend was topped off with a three hour game of Trivial Pursuit. It was an epic battle between three couples, filling a quiet country pub with cries of ‘Edinburgh!’, ‘ballpoint pen!’ and ‘Sally Gunnell!’ Amazing! My birthday. On Wednesday I celebrated my birthday. I find it a bit sad that I no longer crave week-long celebrations for my birthday, but I had a lovely day all the same. 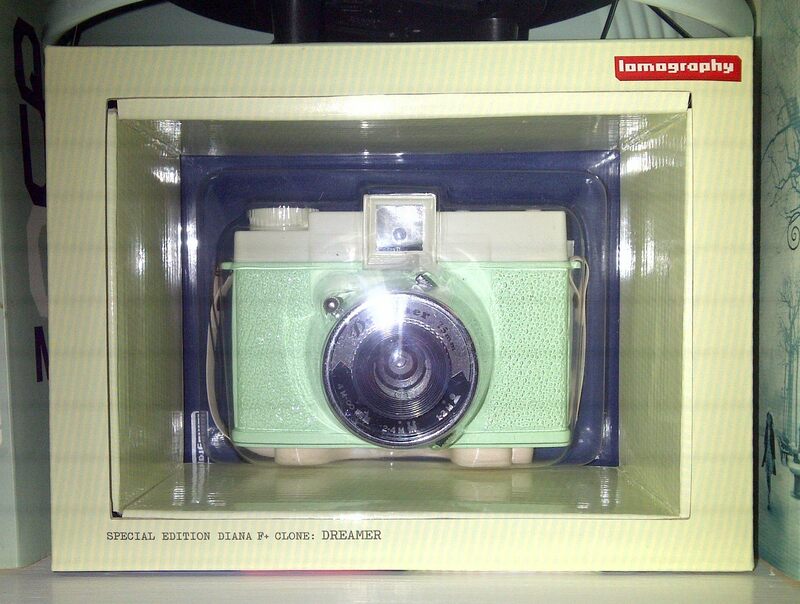 Mr Ship-Shape gave me my first ever lomography camera and baked me a birthday cake! Cocktails and a meal at Zero Degrees with friends was topped off with a nightcap at the Milk Thistle. Window dressing. I’ve been so busy that I haven’t really been paying attention to som of Bristol’s fantastic window displays. 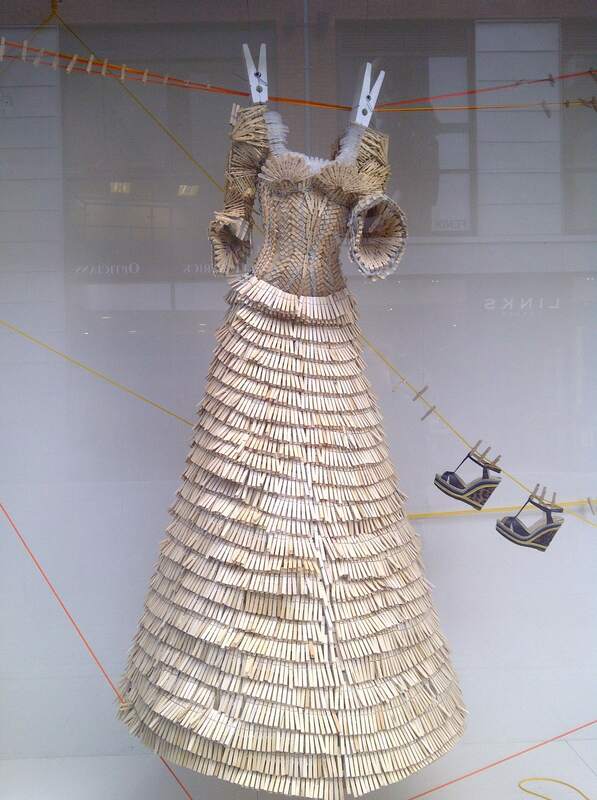 I love the current display at Harvey Nicks, Quakers Friar, which includes this awesome period dress, made almost entirely of wooden clothes pegs. Hip-Shapes and Bristol Fashion. 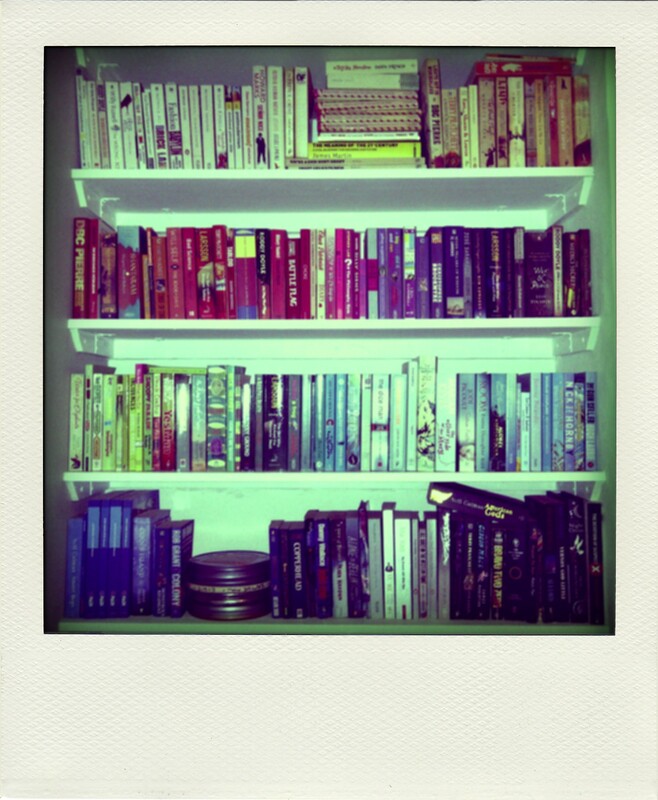 Bristol blogger and personal stylist, Nikki, has just moved to Bangalore for a year and has already started cataloguing her experiences through photos and blog posts. I can’t wait to read more and see all the adventures Nikki and her hubby get up to – good luck guys! Chocolate (and dessert). I’ve never ‘done’ Lent before, but I decided to give up dessert this year, and it wasn’t easy! I love sweet food, and have been known to plan whole meals around what’s on the dessert menu. Needless to say I was delighted to tuck into an Easter egg on Sunday morning, and a slice of cake and apple pie last night. Vintage dresses and DIY. On Saturday I took some time out from fixing up our bathroom to have a bit of fun and shoot the vintage dresses I bought at Vintage Sunday last weekend. Take a look here. What’s been rocking your world this week? Let mHow did you spend your Easter? Let me know by commenting below…. Happy Easter! 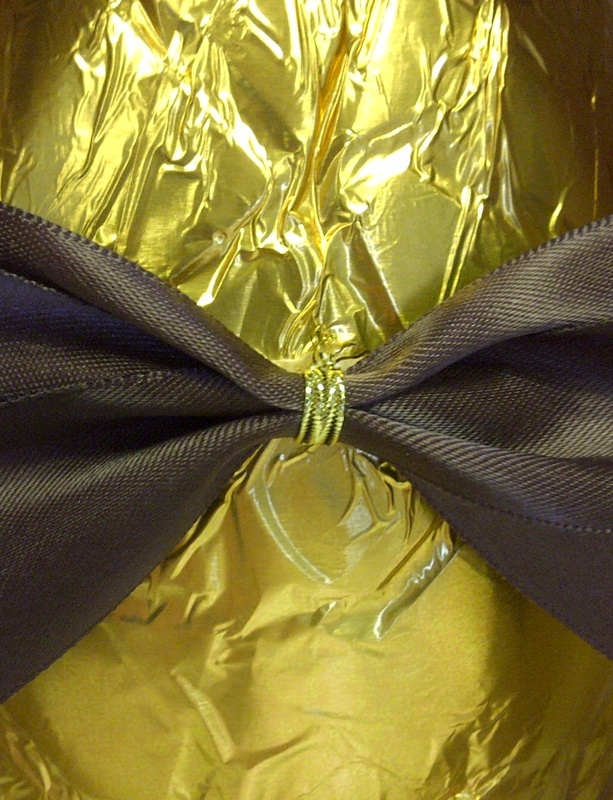 Word has it that Easter Bank Holiday weekends are traditionally about two things: DIY and chocolate. My weekend has been filled with the former, and I’ve had quite enough of curtains, u-bends and B&Q, so I though I’d take a few shots of the dresses I bought at Vintage Sunday last week*. 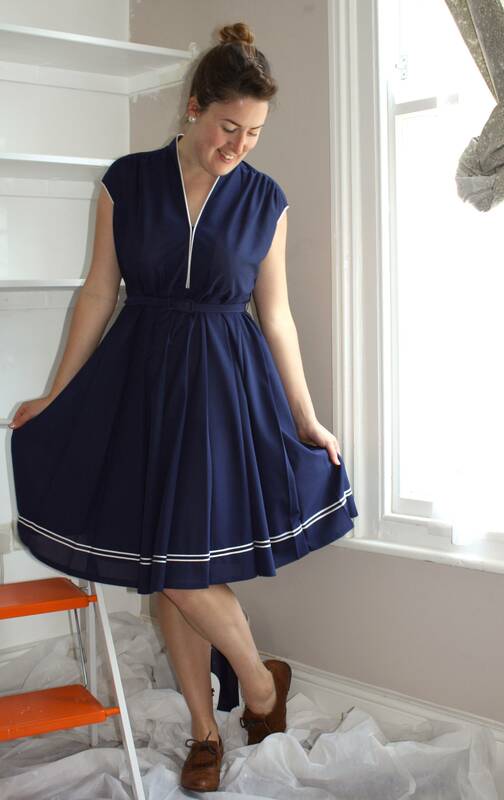 This gorgeous white and navy dress is from Ears & Whiskers. It fits like a glove and I thought it only right to pair it with some dainty navy heels that used to belong to Grandma Ship-Shape. I fell head over heels for it but little did I know that another market stall would present something of a quandary. At reoundreloved, I discovered a beautiful navy pleated skirt dress, with white trim. I’d already spent most of the money I came with, and I had to be talked out of trying it on and walking away. I think I managed to stay away for about four minutes before I came back to try the dress on, hoping it wouldn’t fit, or that I wouldn’t like it. No such luck! Kate and Bronia of refoundreloved were kind enough to listen to my plea and let me have the dress for £22 instead of £28. Thank you girls – you made my day and I can’t wait to wear this dress! 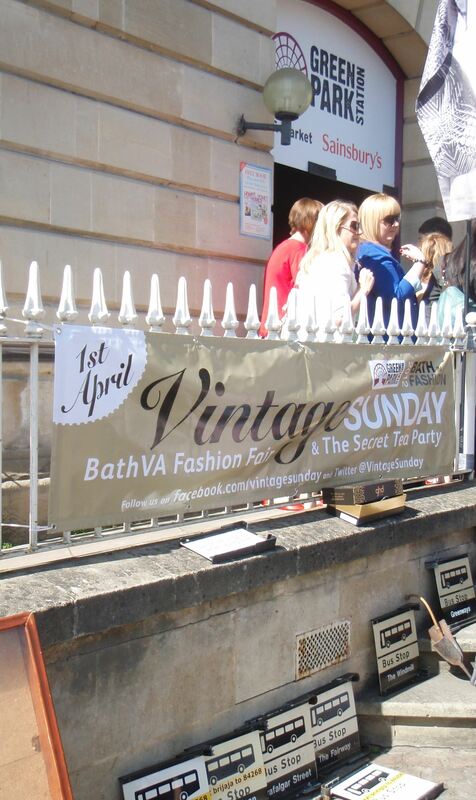 On Sunday I took a trip to Bath for Vintage Sunday, the icing on the cake of Bath in Fashion, an annual event dedicated to celebrating the city’s fashion pedigree. Bath is just a 10 minute train ride from Bristol, yet I rarely find the time to go there, despite the gorgeous architecture, wealth of shops and a a fair few decent pubs and restaurants too. Vintage Sunday was held at Green Park Station, under the stunning glass roof, which was lit up by the spring sunshine (remember that?). Market stalls were plenty, along with a jazz band to provide some ambiant music, and a secret tea party, held upstairs, above the hubbub of the market. 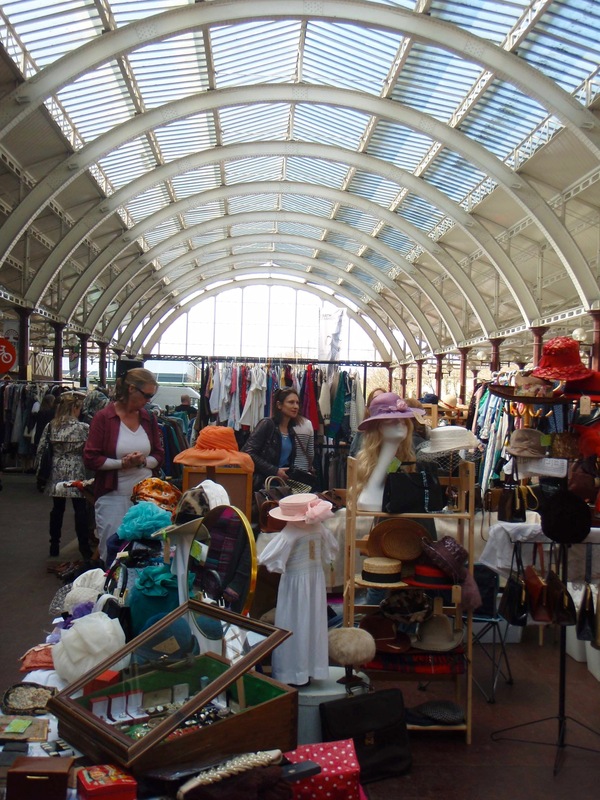 Perhaps it’s that Vintage Sunday provided sellers that I don’t normally see in Bristol, accept for the fantastic recession, who were trading out of a bright blue vintage car, above, but I felt invigorated walking around all the stalls. 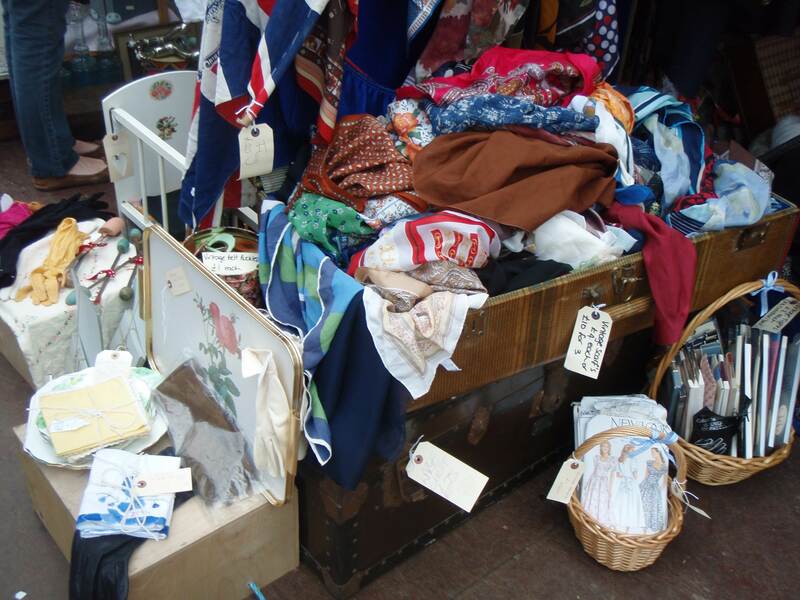 There was so much to soak up, from scraps of silk fabric and wicker picnic baskets, to antique lace dresses and costume jewellery. I had to restrain myself as there was so much I wanted to buy, but (and this is a tip for shopping at markets) I came with a limited amount of cash, so I wouldn’t be tempted to buy more than I could afford. 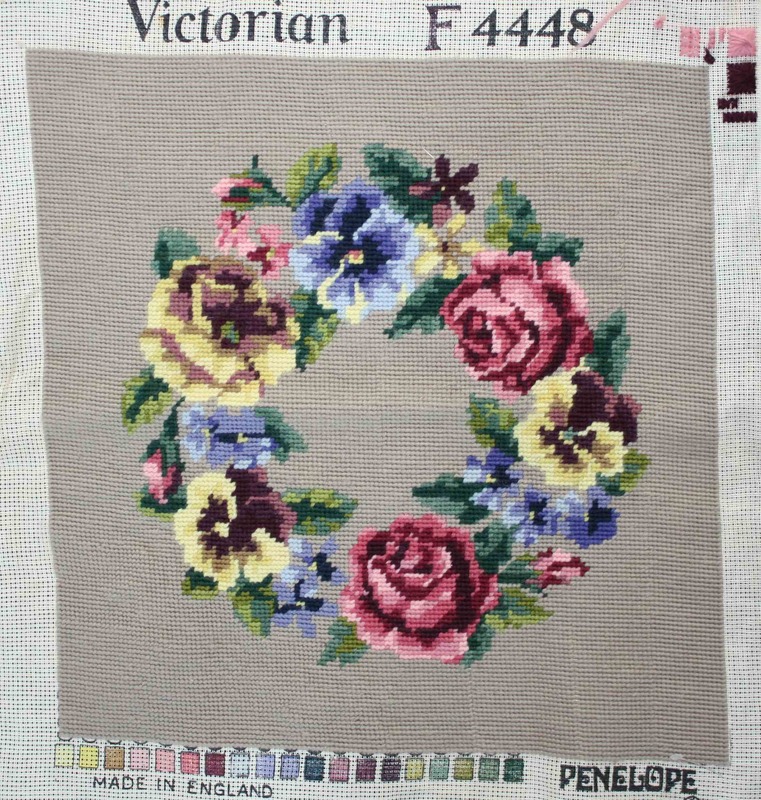 I also attempted to haggle, which isn’t something I normally feel comfortable with at vintage fairs, but it paid of and I walked away with two beautiful dresses, and this old tapestry, below. 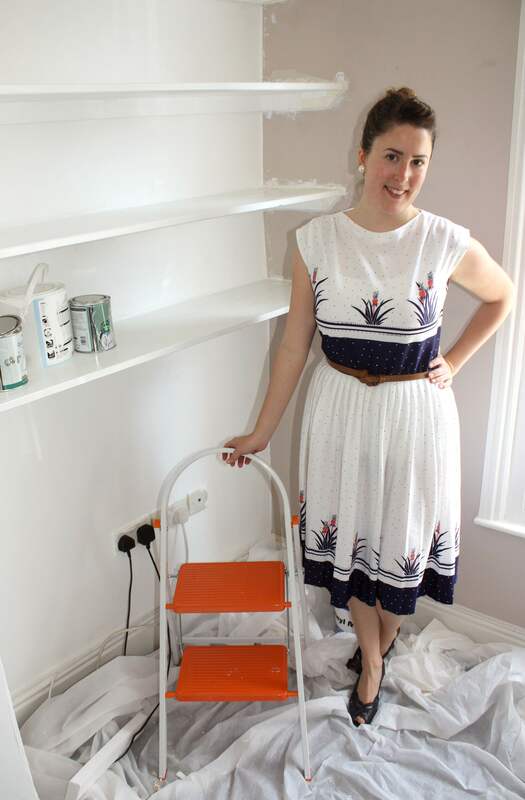 I’ve got to do some more DIY now (today we took our bathroom apart to investigate a leaking u-bend – a very rock and roll way to start the Easter weekend) but I’ll be posting some pictures of the beautiful dresses over the weekend, so stay tuned!